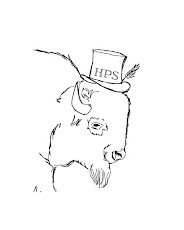 Let me first note that it's nice to be back to regular programming after the Olympics! S3E16 opens with the guys in Sheldon's comic shop. 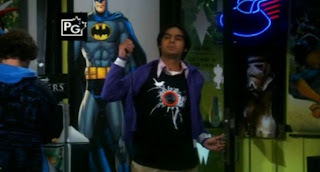 Raj bursts in with a sweet t-shirt that plays music, in this first scene its the Imperial March from Star Wars. (Incidentally, its also my ring-tone. I, too, want to be feared and respected). Raj takes a little ribbing (for her pleasure) over the shirt until the guys find out that comic-book icon will be appearing at the store. 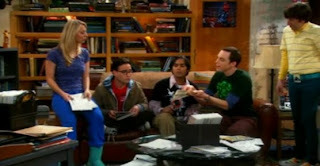 Their nerd hearts are all aflutter, and they retire to Leonard and Sheldon's apartment to choose their to-be-signed comic books. Sheldon prepares a thorough and well thought out defense to his crime. The judge, unimpressed with the pro-se Sheldon, finds against him. Sheldon, being Sheldon, gives the judge some lip and soon finds himself in contempt of court and jail. When Sheldon finds out that he has to pee in front of his fellow prisoners, he relents and decides he can indeed apologize to the judge. All is well! But wait, Sheldon is carrying a grudge against Penny for his missing Stan Lee. Penny, being the good-natured midwesterner, decides to make it right and tracks down Stan Lee's address with the help of some old-fashioned sexual bribery. Penny takes Sheldon over to Stan Lee's house, and of course Sheldon is very excited. Things don't go so well, as Stan is a little less than excited to see another fan-boy. Sheldon barges into the house after Lee's sarcastic invitation, and Sheldon becomes the proud new owner of a restraining order from Stan Lee, which apparently matches his Leonard Nimoy restraining order. This brings me to my second pet peeve of the night, which is poorly thought out guest spots. 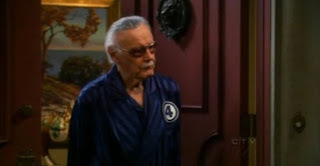 Stan Lee is the perfect for this show. The characters spend a lot of time in the comic book store and/or discussing the comic book pantheon. With that in mind, couldn't the writers have come up with something better for Stan to do? He essentially just came on screen, accepted the applause, grumbled a couple of lines and was gone. For a show that is typically so well written, this smacks of a little laziness to me. Perhaps Mr. Lee wasn't interested in any more than what he did here, but as we know from Mall Rats, he is capable of delivering his lines well and believably. This appearance was nothing more than staged applause opportunity. For shame writers! Just kidding, we still love the show. Check back later for our take on Marriage Ref, and Better Off Ted!